The Parish Council is the most local tier of administration, the first tier of democratic government, below county and district councils. Of all local government bodies, it is parish and town councils which are closest to the electorate and, therefore, have the greatest interest in local concerns. As the councillors live in or very near their parish they are close to what goes on and should be able to find out about the things that really matter to parishioners. Although they have no power over district or county council decisions on issues such as planning, traffic problems or local public transport, they are able to pass on their opinions and these can sometimes influence the decision makers at a higher level. 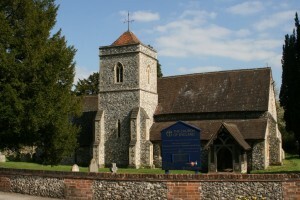 Parish councils were first established by the Local Government Act of 1894 and current powers are based, in the main, in the Local Government Act of 1972. Today they are responsible for managing parish funds and providing local amenities such as monuments, playing fields, footpaths and churchyards. Parish councils impose a limited local rate, known as a precept, which is collected on their behalf by the district council as part of the Council Tax. Parish councillors have to live work, occupy or own land within a 3 mile radius of their parish and are elected every four years. They are all volunteers and receive no pay for their service. The only person to receive a salary is the parish council’s clerk, who deals with all the administrative and financial matters and provides a vital link between the parish council and other agencies or public bodies. Parish councils are publicly accountable and parishioners are entitled to attend all meetings, although there are some confidential matters which may be discussed by councillors in camera.